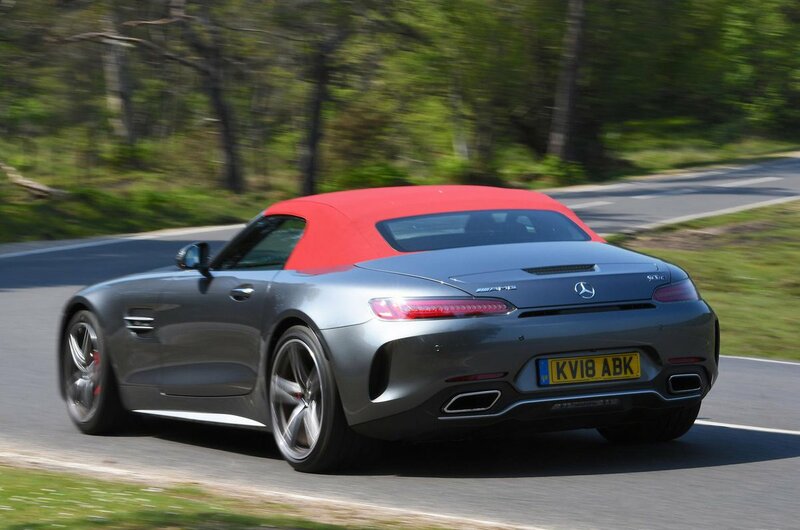 Mercedes-AMG GT Roadster Performance, Engine, Ride, Handling | What Car? 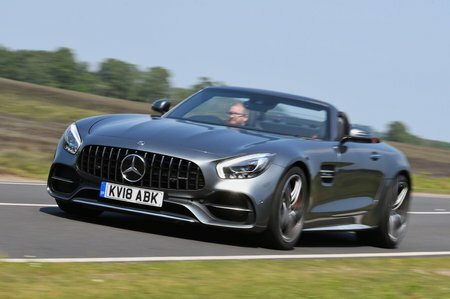 All GT Roadsters use AMG’s twin-turbocharged 4.0-litre V8, with the ‘regular’ car offering 469bhp, and the S model 515bhp. However, we drove the range-topping C, which hikes power to 549bhp. In addition, the C features a wider stance that makes it look more imposing, and rear-wheel steering to improve high-speed agility and make the car easier to manoeuvre in tight spaces. The sprint from 0-62mph is over in just 3.7sec (3.8sec in the S and 4.0sec in the regular GT). What’s more, the engine is incredibly responsive and smooth in its delivery – particularly for a turbo unit – and it never sounds anything less than beautifully brutish. True, the GT C Roadster doesn’t feel as light or as agile as the best open-top supercars in tight corners, but through fast, sweeping curves it’s a match for anything. 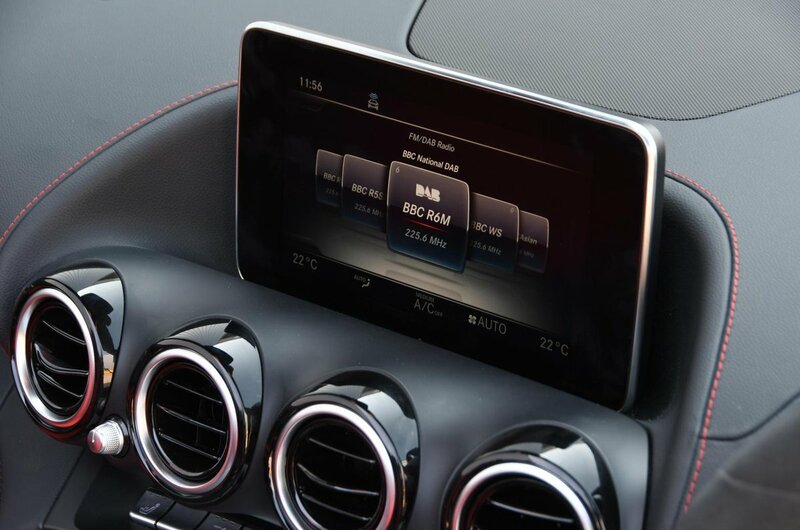 Similarly, the steering isn’t as feelsome as an Audi R8’s or Porsche 911’s, but it’s far from numb and tough to fault for precision. Potholes and abrupt surface changes cause the suspension to thud, but the car actually rides most bumps quite well if you leave the adaptive dampers (standard on S and C models) in their softest setting; it helps that there’s no sign of the body flex that so often afflicts convertibles. Appealing engine noise aside, the GT Roadster is pretty quiet with the roof up, shutting out road noise much better than a 911. And with the roof down you’re well protected from wind buffeting, even at motorway speeds.